China: A county in China’s northern Sichuan province has signed a strategic cooperation contract to establish a new blockchain company in an effort to develop the forestry industry. The Beichuan Qiang Autonomous County of Sichuan Province and Beijing Sinfotek Group have jointly established a new company, Hangzhou Yi Shu Blockchain Technology Co., Ltd for “forestry economic development and industrial poverty alleviation.” The newly established company is reportedly one of the 19 blockchain companies to have passed the first batch of 700 project declarations in the Hangzhou Blockchain Industrial Park. In other news, A special economic zone in China’s Guangzhou city is following the lead of Beijing’s financial district in banning activities that promote cryptocurrencies. The finance department of the Guangzhou Development District issued a notice to local businesses on Aug. 24, prohibiting them from hosting any crypto-related promotions or events. South Korea: Bithumb, one of the largest cryptocurrency exchanges in South Korea, is reportedly renewing its contract with the country’s Nonghyup Bank – a move that will allow the firm to once more accept new account registrations. Korean news agency Yonhap reports on Wednesday Bithumb and Nonghyup are planning to sign the contract today in order to allow the exchange to assign new so-called real-name virtual accounts to cryptocurrency traders. As previously reported by CoinDesk, Bithumb announced the suspension of its new account registration service on July 31, putting it down to a “service improvement process.” Reports at the time suggested the halt was forced upon the exchange because the bank was insisting on changes following the exchange’s $31 million hack in June. Australia: An Australian federal agency is developing a national blockchain that will allow businesses to carry out transactions based on smart legal contracts. The Commonwealth Scientific and Industrial Research Organization (CSIRO) said on Wednesday that its research arm, Data61, is working with law firm Herbert Smith Freehills and IBM to conduct a pilot for a new platform called the Australian National Blockchain (ANB). Standard Chartered is teaming up with the financial arm of manufacturing giant Siemens for a pilot scheme that puts bank guarantees for trade finance on a blockchain. According to a report from IBS Intelligence, the effort – that also includes assistance from digital ledger firm TradeIX – is aimed to move the process on from the traditional paper-intensive process and fully digitize bank guarantee issuance from end to end using automated smart contracts. California may soon be forming a working group to examine the potential benefits of blockchain to the state – and how best to update laws to make use of the technology. 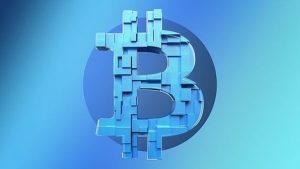 California bill 2658, first introduced in February 2018, originally recognized “a record that is secured through blockchain technology is an electronic record,” as previously reported. However, the final version as of Monday now directs the Secretary of the Government Operations Agency to create a blockchain working group to study the technology instead. OECD, The Organization for Economic Co-operation and Development, announced Wednesday it plans to host an international conference on blockchain technology next month. Specifically, the conference will examine blockchain’s impact on government activities, and will feature OECD Secretary-General Angel Gurría, the prime ministers of Serbia, Bermuda and the Republic of Mauritius and the State Secretary of Slovenia when it is held at the OECD headquarters in Paris on Sept. 4 and 5. The forum is going to be livestreamed. Russia: Rosfinmonitoring, the Russian government agency responsible for monitoring and preventing financial crimes in the country, is seeking to expand its internal systems to account for cryptocurrencies. 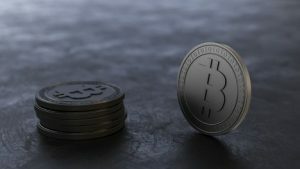 The order, first reported earlier this week by the BBC, indicates that the agency wants to beef up its ability to monitor alternative types of transactions, including those made with cryptocurrencies. According to the publication, an improved system allowing for data about crypto wallets tied to certain individuals is being developed by Moscow Institute for Security and Information Analysis. Meanwhile, The Russian state pension fund (PFR), the country’s largest social service, has recently suggested implementing blockchain technology in labor relations. The fund plans to introduce smart contracts to be used as employment contracts between employers and employees. Malta: The University of Malta has partnered with the Malta Information Technology Agency (MITA) to establisha €300,000 blockchain and distributed ledger technology (DLT) scholarship fund, Times of Malta reported Aug. 29. The new scholarship is targeted at students studying information and communications technology (ICT), law, finance, and engineering, and will be split over three years. Meanwhile, a new digital exchange aims to attract listings from sharia-compliant financial technology startups, its chief executive said, part of a growing number of firms looking to modernize Islamic finance with cryptocurrency and blockchain at the heart of proceedings. The exchange, known as Huulk, has applied for a digital exchange license in Malta and hopes to partner with several European exchanges in the coming weeks, Huulk chief executive Ibrahim Mohammed said. Poland: Polish legislators have introduced a long-awaited new bill to clarify the current crypto taxation policy. The document was published on the country’s government site on Friday, Aug. 24, and explained by local crypto media outlet Kryptowaluty Aug. 25. Kryptowaluty writes that a new document has been offered for consultation, and the Polish Council of Ministers will review it in the third quarter of 2018. EU: Economic and financial affairs ministers from the EU’s 28 member states will reportedly hold an informal meeting on the challenges posed by digital assets and the possibility of tightening regulations, Bloomberg reported Aug. 29. According to a draft note seen by Bloomberg, participants will discuss a general lack of transparency and the potential for cryptocurrency to be used for tax evasion, terrorist financing and money laundering at a Sept. 7 meeting in Vienna, Austria. India: The Reserve Bank of India (RBI) joins a growing list of global counterparts in exploring a central bank digital currency (CBDC) that would constitute the digital equivalent of the Indian rupee. The RBI has established an inter-departmental group to explore the demand and plausibility of a blockchain-based digital currency to be used in domestic payments, the central bank said in its Annual Report. The monetary regulator cited “rapid changes” in the global payments industry bought on by disruptive factors like the “emergence of private digital tokens and the rising costs of managing fiat paper/metallic money” as factors for the RBI exploring its own digital asset. Square: Digital payments firm Square has won a patent for a payment network that allows merchants to accept payments in any currency, including bitcoin or another cryptocurrency. Bitcoin $6,998.32 USD (-1.01 percent): Google is reportedly hosting cryptocurrency mining applications in Play Store, despite a ban imposed last month. Google’s revised terms of service states that, “We don’t allow apps that mine cryptocurrency on devices.” However, the search engine giant mentioned last month that apps that remotely manage cryptocurrency mining are permitted. Despite the ban, few digital currency mining apps have either updated to abide with the new terms nor have removed their apps from the store. Mining apps such as Bitcoin Mining, BTC Miner Pool, and Pickaxe Miner are found to be still live on Google Play, while Cloud Bitcoin Miner app is said to have revised its services in accordance with the new Google terms. “Mining is not performed on the user’s phone,” the app’s description clarifies. Dfinity TBA (NA percent): Decentralized cloud startup Dfinity just raised $102 million to further its work in developing an “internet computer,” TechCrunch reported Wednesday. Venture capital firm Andreessen Horowitz’s new a16z Crypto branch and Polychain Capital lead the funding round for the Switzerland-based project, which is working to build a decentralized cloud computing platform. Dfinity also saw investments from Multicoin Capital, Scalar Capital, SV Angel, Aspect Ventures, Village Global, Amino Capital, KR1 and, according to TechCrunch, contributions from members of the Dfinity community. Dfinity claims to have now raised nearly $200 million toward its goal, including through a $61 million fundraising round in February which also saw Andreessen Horowitz and Polychain invest. Planned to be publicly accessible, the network is scheduled to launch later this year. Ethereum $284.00 USD (-3.18 percent) In an upcoming October upgrade named Constantinople, ethereum is faced with a unique challenge — how to find a balance between a web of diverse stakeholders, each battling for different outcomes. Making matters more complex, there’s a hard deadline for the upgrade, currently set for October. Predicted sometime in early 2019, a piece of code known as the difficulty bomb is scheduled enact, thereby making ethereum’s blocks steadily less time efficient to mine. If no action is taken, the difficulty bomb will push ethereum into what is known as the “ice age,” a period wherein the difficulty is so high that transactions can no longer be processed, making the blockchain unusable. Because delaying the difficulty bomb also impacts ether inflation (the time it takes to mine blocks is directly correlated to the quantity of ether distributed on the platform), ethereum is under pressure to upgrade its code before the bomb hits. In other news, Origin Protocol, a blockchain project building a decentralized marketplace, has rolled out a peer-to-peer messaging application built on top of ethereum. The project wrote in a blog post on Wednesday that the open-sourced messaging function is now up and running on its marketplace demo, creating an encrypted communication channel between buyers and sellers. EOS $5.94 USD (-0.42 percent): Recently, developers discovered attackers could create malicious smart contracts that exploit the scripting language’s notifications feature, which allows one contract to notify other contracts of specific events (e.g. an incoming token transfer). The malicious contracts use that feature to fill other users’ RAM with “garbage” data, permanently freezing the RAM and preventing victims from using it for valid purposes or selling it back to the network. Meanwhile, the EOS value temporarily surged by more than 21 percent as a result of its decision to launch a voting system. The rulebook says that EOS wallet funds can only be allocated for the development of EOS blockchain project. The EOS referendum system proposal is a step forward in the direction of building a democratic decision-making process. While not everybody is happy with the proposal, fearing one-toke-one-vote system would get centralized by people with higher amount of tokens, the announcement itself has proven strongly bullish to the EOS token value. Binance $10.87USD (-2.39 percent): Announced Tuesday, the founder behind a $1.4 billion startup unicorn called TMON is revealing he has raised a $32 million seed round backed by Binance, to build a stablecoin called Terra. But while a number of startups have deployed stablecoins – cryptocurrencies engineered to track the price of another asset, usually fiat currency – Terra comes with a notable addition: an existing user base. Created by Korean entrepreneurs Danial Shin, who founded and chairs TMON, one of the top e-commerce websites in South Korea, the Terra project is launching with a significant number of partners that already reach 40 million customers. Those partners, who will together form the Terra Alliance, a group of e-commerce sites that are interested in incorporating the stablecoin into their business, include Woowa Brothers, Qoo10, Carousell, Pomelo and TIKI.